This stimulating Summer School will provide you with the opportunity to engage with some of the most challenging and pressing issues of international relations and diplomacy. The Program is designed for all students, master students and PhD candidates that wish to gain new knowledge about the political actors, institutions, coalitions, and policies reshaping the world political order. The material emphasizes a skills-based and experiential-learning approach and is generally not offered at colleges and universities. Participants receive internationally recognized certificates from the International Academic Institute. In the past, scholars explained international stability and order as the outcome of alliances and the balance of power among dominant states. In former international systems, systemic conditions and the political, economic and social needs of states shaped hegemonic order. IR scientists developed a variety of reflections, empirical studies and policy prescriptions to capture the reality, and formulate perspectives about the future. The School connects you to an international network of researchers and lets you interact with junior and senior IR scholars. You will present and discuss your own research and get feedback and exchange from Instructors and fellow participants. During the week you will engage with peers from different cultural backgrounds and learn from the real-world diplomatic experience of the lecturers through dynamic and interactive learning activities. You will discuss compelling and inspiring topics of diplomacy and international relations in the morning and afternoon sessions but you will also have enough time to visit and enjoy the wonderful city of Barcelona. We offer 3 participation fee waivers on competitive basis. If you wish to apply for participation fee waiver send us your CV and Motivation letter at: contact@ia-institute.com no later than 25.04.2019 and we will notify you on 30.04.2019. Register here until 30 April 2019. If you are not able to come in person in Barcelona and participate at the Summer School we offer a unique opportunity to register for online participation and attend all lectures and classes of the Summer School Program with live streaming directly on your computer from your home or office. If you register for online attendance you will receive Internationally recognized Certificate for attendance from the International Academic Institute. Dr Leventis read B.A. in Economic & Social Studies, University of Manchester (1990), M.A. in Peace Studies (1992) and Ph.D. in European Studies, University of Bradford (1998). 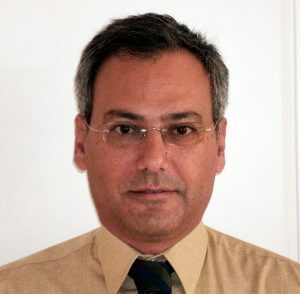 He had been a Visiting Research Associate, King’s College, University of London (1999-2000) and an External Research Associate of the Hellenic Foundation for European & Foreign Policy (1999-2000). He was Associate Professor, Faculty of International Relations, Politics and European Studies, New York University Skopje, FYROM (2006-08). In March 2008 he was appointed Honoris Causamember of the Working Group on Security & Guarantees in the bi-communal talks aimed at a comprehensive settlement of the Cyprus Problem. Dr Leventis was also elected by large majority a Council Member of the World Federalist Movement(WFM)at the Annual Council Meeting in Buenos Aires (October, 2010). In 2012 he was invited to join as a member The International Institute for Strategic Studies (IISS, London) and he has been a member ever since participating in the latest Global Strategic Review (Stockholm, September 2013). 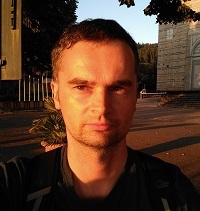 PhD with Habilitation in Political Science from Jagiellonian University in Krakow (2015). Thesis title: External policies of American. states in shaping the foreign policy of the United States. Dr. Vasko Naumovski is a Professor of International Relations at the Department of Law ‘Iustinianus Primus’ at the Ss. Cyril and Methodius University in Skopje, where he did his BA, LLM and PhD degrees. He also holds a MA degree in European Studies from the University of Bonn, and has completed a study visit on foreign policy at the University of Florida. 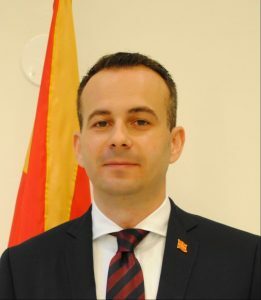 Naumovski was Deputy President of the Government of the Republic of Macedonia, in charge of European Affairs (2009-2011). During his mandate Macedonia received the EU recommendation to begin the membership negotiations, as well as the EU visa liberalization. Also, Naumovski was Ambassador of the Republic of Macedonia to the United States of America (2014-2018), and a Special Envoy of the Macedonian President in the talks regarding the difference over the name with Greece, under the UN auspices. Apart from the academic work Milena Apostolovska-Stepanoska has interests in various extra-curricular activities like working in a NGO sector were she is one of the founders and member of the Committee Board of the Macedonian Institute for European Studies and the International Academic Institute. Hristina Runcheva Tasev is Assistant Professor at the Faculty of Law “Iustinianus Primus” in Skopje. She graduated from the Faculty of Law in 2007 with an average grade of 9.89. She received an Award and Golden coin by the Rector of the Ss. Cyril and Methodius University of Skopje for the best student of the generation (2006/07). She has also received the 26th of July- Frank Maning prize for the best grades in the final year of studies. 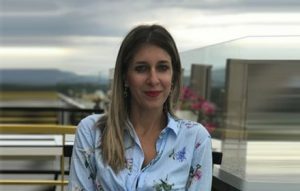 In 2011, Runcheva Tasev has obtained her MA degree in EU Institutions and Policies at the Faculty of Law “Iustinianus Primus” in partnership with the Karl- Franzens Univesity of Graz and the University of West Bohemia in Pilsen. She obtained her PhD in law in 2015. She is an author of numerous scientific articles published in domestic and international academic jouranls and proceedings and has participated in different academic projects and international conferences. Hristina has been a Member of Parliament for two terms and has also served as a foreign policy associate in the Cabinet of the Speaker of the Parliament of the Republic of Macedonia. She is one of the founders of the Macedonian Institute for European Studies (MIES) and International Academic Institute (IAI).